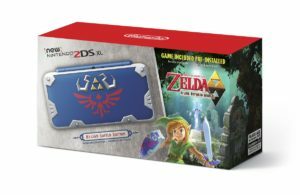 Nintendo of America has announced that a new, Zelda-themed special edition of the New 2DS XL console is on its way to store shelves. 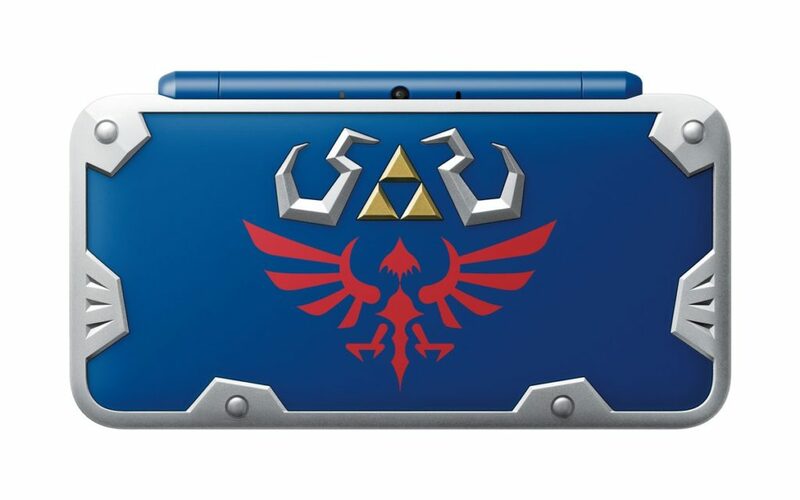 The appropriately named Hylian Shield Edition of the New 2DS XL features a design similar to the one found on Link’s trademark shield in the Legend of Zelda series. The special edition console will also come with A Link Between Worlds pre-installed. The handheld is scheduled for release on July 2nd for $159.99 USD, and it will be available exclusively at GameStop. GameStop pre-orders are available now right here. 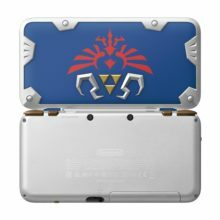 At the time of writing, the Hylian Shield Edition of the New Nintendo 2DS XL has only been announced for North America. We are unsure if there are plans to bring the console to other territories. Are you planning to pick up the New 2DS XL Hylian Shield Edition? Have you been waiting for a reason to buy the handheld? Share your thoughts in the comments.